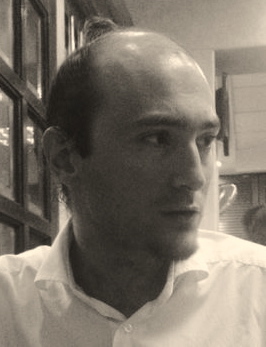 Andrea Acri is a Visiting Research Fellow at the Nalanda-Sriwijaya Centre, Institute of Southeast Asian Studies (Singapore). He received his PhD from Leiden University, an MA in Southeast Asian Languages and Literatures (with focus on Old Javanese) from the same University, and a ‘Laurea’ degree in Oriental Languages and Cultures (with focus on Sanskrit and Classical Indology) from the University of Rome ‘Sapienza’. Since 2011 he has held postdoctoral fellowships in the Netherlands (IIAS), Australia (ANU), the UK (Oxford Centre for Hindu Studies), and Singapore (Asia Research Institute, NUS). He was the recipient of an Australia Endeavour Award for postdoctoral research, a Darmasiswa scholarship for the study of Indonesian language and culture at Universitas Indonesia in Jakarta, and the principal investigator for an Endangered Archives Project (EAP 280) sponsored by the British Library/Arcadia Foundation. He has travelled extensively across South and Southeast Asia, and spent a number of years in Indonesia. Andrea’s work focuses on the history of ideas in premodern South and Southeast Asia. His main interests are Hinduism and Indian Philosophy, Tantric Śaivism and Buddhism, and the transfer and transformation of Indic religions across Monsoon Asia. He is involved in the edition and translation of Old Javanese and Sanskrit texts, and has published on premodern Javanese literature and visual/performative arts, as well as modern Balinese Hinduism. He has authored the monograph Dharma Pātañjala; A Śaiva Scripture from Ancient Java Studied in the Light of Related Old Javanese and Sanskrit Texts (Gonda Indological Studies XVI, Egbert Forsten Publishing/Brill, 2011), and co-edited From Laṅkā Eastwards: The Rāmāyaṇa in the Literature and Visual Arts of Indonesia (KITLV Press, 2011) with Helen Creese and Arlo Griffiths. His interest in yoga include meditative traditions from premodern South Asia, and especially the reception of Tantric yoga (ṣaḍaṅgayoga) and Pātañjala yoga (aṣṭāṅgayoga) in Java and Bali. Through his study of the Dharma Pātañjala, an Old Javanese text that documents a hitherto unknown commentarial tradition to the Sanskrit Yogasūtra, as well as a variety of Śaiva ṣaḍaṅgayoga, he has shown that Indic textual materials from the Indonesian Archipelago may cast important light on yoga traditions known from South Asian Sanskrit sources. forthcoming ‘Between Impetus, Fear, and Disgust: ‘‘Desire for Emancipation’’ (saṃvega) from Early Buddhism to Pātañjala Yoga and Śaiva Siddhānta’, in A. Wenta and P. Bilimoria (eds) Emotions in Indian Thought-Systems. Routledge. 2013 ‘Modern Hindu Intellectuals and Ancient Texts: Reforming Śaiva Yoga in Bali’, Bijdragen tot de Taal-, Land- en Volkenkunde / Journal of the Humanities and Social Sciences of Southeast Asia and Oceania 169-1: 68–103. 2012 ‘Yogasūtra 1.10, 1.21–23, and 2.9 in the Light of the Indo-Javanese Dharma Pātañjala’, Journal of Indian Philosophy 40-3: 259–276. 2011 ‘Re-configuration of Divinity in Old Javanese Śaiva texts from the Indonesian Archipelago (with special reference to Jñānasiddhānta, chapter 19)’,Travaux de Symposium International: Le Livre. La Roumanie. L’Europe. Troisième édition, Tome III, pp. 546–65. Bucarest: Éd. Bibliothèque de Bucarest.